We just got this organic lavender in, and it's absolutely lovely--lush, soft and richly aromatic. We're happy to now offer three organic lavenders (this on, along with our Lavender Provence and Spike Lavender). In general, Lavender is the most versatile of essential oils. It is relaxing and refreshing, uplifts the spirits, and helps to relieve the distress of muscle pain. No home should be without it. Lavender balances your body and mind, calming or uplifting according to your body's needs. Excellent for refreshing sore muscles, tired feet and relieving stress. Add a drop to your pillow/sheets for a truly peaceful sleep. Lavender treats burns and reduces scarring; it's one of the few oils that can be applied neat in small amounts on mild burns (although care still needs to be taken). Lavender also blends with many other oils including bergamot, clove, patchouli, and clary sage. 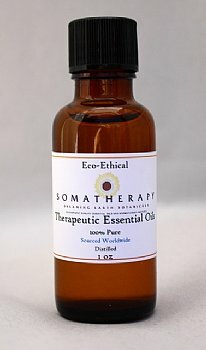 Traditionally, it's been used as a muscle relaxant, soothing agent, skin conditioner, and astringent.